HOW TO CHOOSE THE RIGHT LINEN? 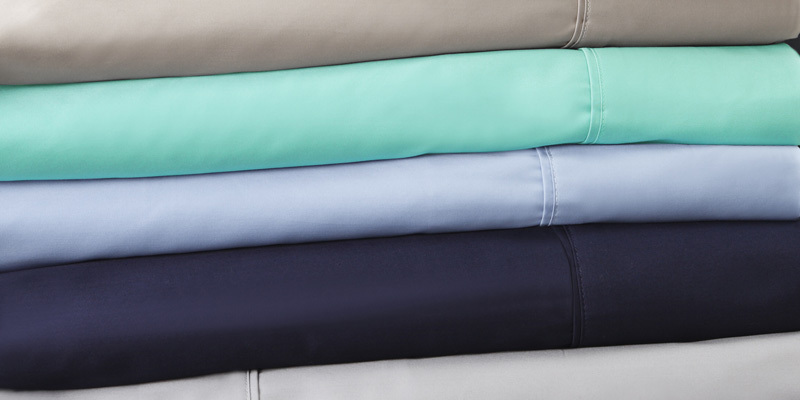 When it comes to sheets, cotton is cool, absorbent, breathable, easy-care, and has a range of price options. Good-quality cotton lasts an average of three to five years before it starts showing wear. It is also fuss-free to wash – it’s a water-loving fibre that releases dirt easily. Egyptian cotton is known as a superior, long-staple cotton, but not always Egyptian-grown. 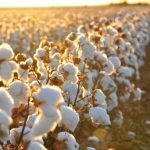 Excellent-quality cotton is also produced in Australia, Brazil and America, where it is often referred to as Pima cotton, or the trade name Supima. You will never find cheap ‘genuine’ Egyptian cotton sheets. Beware of the term “Cotton Rich’ if you are looking for ‘100 per cent cotton. Many blended cotton sheets also contain shorter ‘staples’ which are joined to create a longer thread. The difference is hard to pick visually, but they will show their true colours with use feeling rougher and will fur or pill. Tip: A long staple, or thread, means fewer breaks or weak points in the weave. Pure linen sheets provide that popular rumpled tossed-together bed look. They are an investment which Europeans have understood and used for centuries. While cotton lasts up to five years, top-quality linen lasts, literally, a lifetime. Initially, some may find the texture a little coarse. With age, linen settles and becomes soft and cool against the skin. Linen is absorbent, stays in shape, and washes well. It comes at a price –but you may never buy another set. Tip: If you’re unsure, try a pair of pillowcases and see how you like the feel and performance. 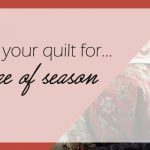 As with cotton, linen quality varies widely. Go by weight rather than thread count. Light-weight, bargain-priced linen sheets probably won’t deliver the longevity of pricier ones. It’s better to put your dollars into top-quality cotton than poor-quality linen. A great compromise for a less expensive option is a linen/cotton blend. Bamboo sheets are often popular for ‘green’ reasons. The fastest growing crop in the world using few or no pesticides. It’s soft and silky, wicks moisture away from the skin, and is cool in summer and warm in winter. It also is more crease-resistant than cotton and linen, and tends to smooth out on the bed. Tip: Check that bamboo sheets are pre-shrunk – shrinkage can be around three per cent, but this is allowed for in most bamboo sheets. Always wash in cold or low-temperature water. Polycotton, or other natural fibres with a percentage of polyester, are more wrinkle-resistant than most fabrics. Poly-plus sheets are practical for a large household with a constant turn-around of bedlinen, as they dry fast, are relatively strong, and have a crisp, cool feel. They usually cost less than other sheets too. Tip: Look for blends with a small percentage of polyester, as polyester is not as breathable as pure cotton and can build up static electricity, especially in dry climates. Once a week is an average guide for changing sheets, to prevent stains and oils becoming ingrained and dust mites from setting up house. Acidic perspiration that remains in fibres will, over time, begin to break down the threads. Tip: Wash new sheets before use because patterns, colours and finishes are usually applied after sheets are woven and they may feel a bit crunchy. Fabric softeners leave a conditioning film on sheets, which can build up and reduce absorbency. A dash of white vinegar in the rinse cycle removes detergent residue. Weave – the arrangement of warp and weft (horizontal and vertical) threads – affects the feel and longevity of sheet fabrics. ‘Percale’ refers to a weave style. It’s soft and hard-wearing, with an appealing sheen. Other weaves are ‘twill’, twisting fibres to add strength, and ‘sateen’, which is super soft with a slightly polished finish. What’s the fuss about Egyptian Cotton?